"Cristian is an exciting young player that we are happy to welcome to our club," said Red Bulls Sporting Director Denis Hamlett. "He was identified through our scouting network as a player that has the qualities we look for, and we were glad to get him here in time for the start of preseason camp. We look forward to getting him integrated and seeing how he can help our club." Cásseres Jr. has featured in Venezuela's first division and has represented Venezuela on the U-17 and U-20 national teams. He recently turned 18, has risen quickly through the ranks for club and country in his native Venezuela. At the age of 16, the midfielder made his professional debut for Deportivo La Guaira in the Venezuelan First Division. Cásseres, Jr., made 15 total appearances for the senior team and scored once. 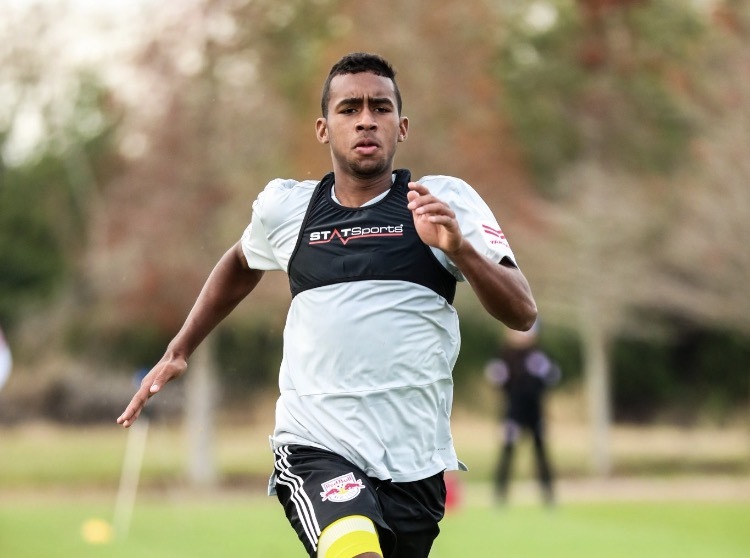 "What we've seen from Cristian has been promising," said Red Bulls Head Coach Jesse Marsch. "He fits into our style of play and we think he can contribute at the MLS level. I look forward to him establishing himself within the group and competing every day." "I am very happy to have signed with the New York Red Bulls," said Casseres Jr., "I believe this is one of the best clubs in MLS and I am excited to get started with my career here." Cásseres Jr., is following in the footsteps of his father, Cristian Cásseres Sr., who played for the Venezuelan national team. Cásseres Sr. played for Atletico Venezuela's first team while Cásseres Jr., was on the U-14 team.